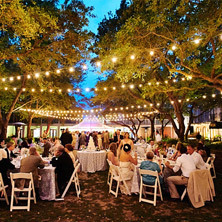 Bazilikum catering has been designed to create exciting and memorable events for any occasion. We specialize in Corporate, Wedding, Social and Theme Events. Whether it is your Birthday, Bar/Bat Mitzvah or Wedding, we make sure to treat you as if it's the most important day of your life. We focus on creating an elegant and personalized guest experience. Our team will fine-tune every detail to ensure the most unforgettable experience for you and your loved ones. Our seasonal and handmade ingredients, along with our bold flavors and beautiful presentations, create a flavorful and unique touch for your special day. From all-day product launches and editorial previews to company parties and marketing events, The M Catering does it all. From simple to lavish, small to large, cocktails to dinners, we can help you plan and cater your corporate event. We will take care of all your rental and staffing needs and even work with your company brand to create a custom menu or signature cocktail for your event or launch. Whether you're planning a backyard Hawaiian Luau, an open house ​hors d'oeuvres party or an elegant anniversary celebration, Bazilikum catering can provide the expertise and skill necessary to accomplish a successful event. Rentals of tables, chairs, china and more can be arranged for your convenience. Complete beverage services are also available. 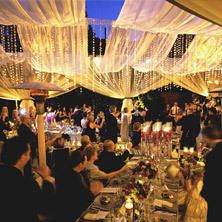 Whether you are planning a traditional wedding celebration with several hundred guests or a small, Bazilikum Catering has the experience to provide you with the very best service possible, not only on the day of your event, but throughout the entire process to make your special day take place flawlessly. We will work with you to create a menu that fits your taste, budget and style. We are proud to bring you an amazing culinary experience for a very reasonable price. Our services include full-service weddings, cocktail parties, corporate functions, plated & served dinners, buffets & drop-off service too! The food was great, the presentation was excellent and I appreciate Sharon's attention to the details to create a seamless experience. Sharon and her staff went above and beyond my expectations! The food layout was gorgeous and she even added an extra dish to ensure we didn't run out of food. Would definitely recommend using them for any big events you may have! Sharon was the perfect choice for our company's party. They were able to handle all out needs in a short time frame and work within our budget. Sharon was personally involved in all aspects. She and her staff helped create a tasty, elegant event that went as smooth as possible even with our challenging requests and space. Bazilikum Kosher Catering © 2019.